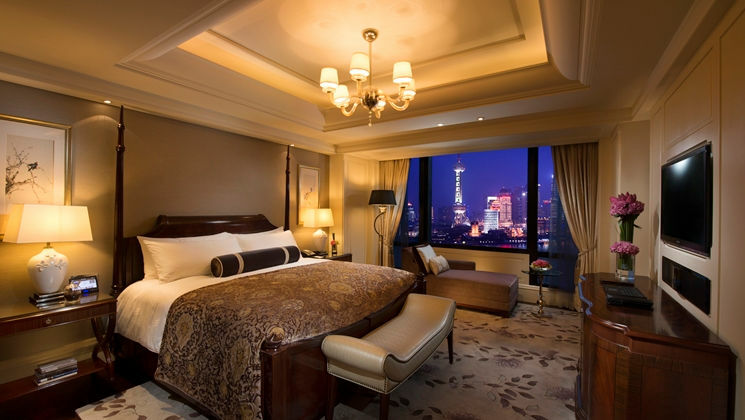 This elegant historic hotel has restored the heritage Shanghai gentleman's club to its former glory, and rivals The Peninsula as the most glamorous hotel in town. 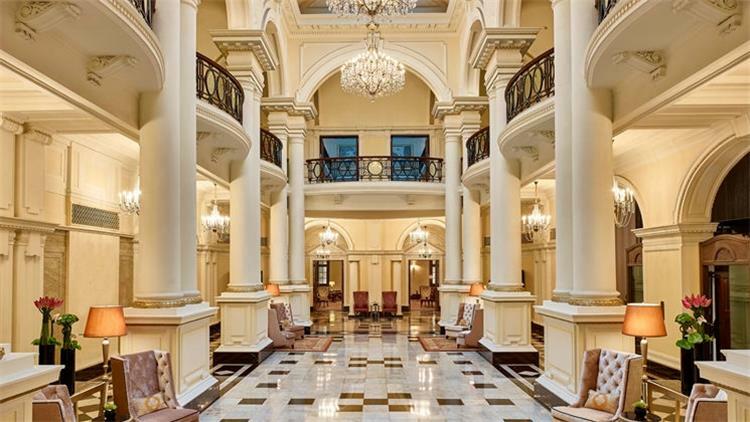 Lovingly-restored in neo-classic style, the hotel decor is opulent but understated with trembling crystal chandeliers, acres of gleaming marble, and a working antique cage lift. There are lots of standout period touches, like the historic 34m Long Bar, serving classic drinks like the signature Waldorf Cocktail (a secret blend of whisky, absinthe, and vermouth) and bar snacks such as Bellota and Parma and Kaluga Caviar served with spring onion, shallots and quail egg. 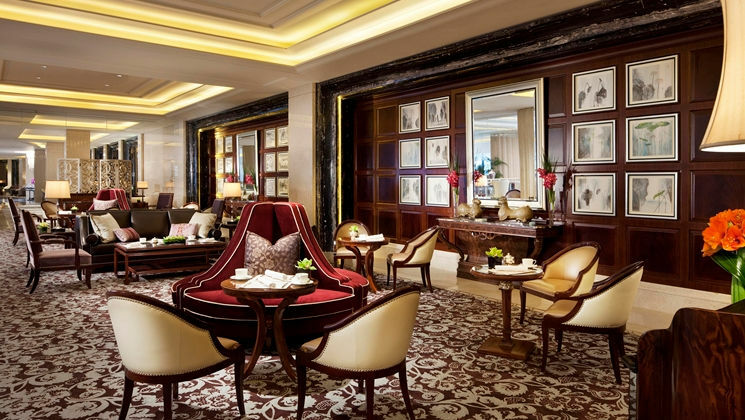 Other dining options include Pelham's, a French style fine dining restaurant, and the Grand Brasserie, serving global cuisine in a picturesque setting with courtyard views. 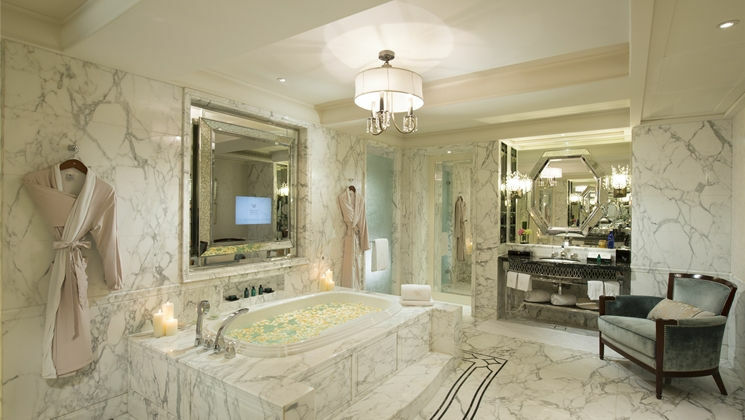 The hotel claims to offer a level of residential comfort that's 'better than home’, and nowhere is this more evident than in the 240 rooms and suite in the Waldorf Astoria Tower and 20 luxuriously appointed suites in the Waldorf Astoria Club. Rooms are light and airy, with white-painted wood panelling and a neutral colour scheme increasing the sense of space.